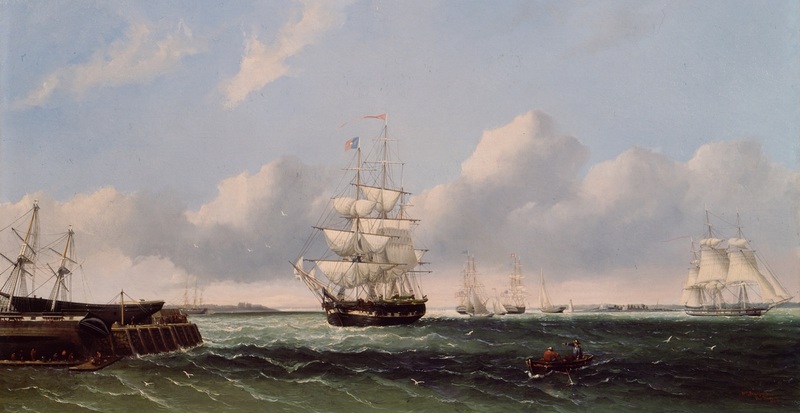 The British Southern Whale Fishery voyage database includes information about all known British southern whaling voyages from 1775 to 1859. The Crew database, which is primarily the work of Dale Chatwin, contains nearly 14,000 entries for men who served in the British Southern Whale Fishery between 1775 and 1859. Complete information about the content and structure of the database is available from the British Southern Whale Fishery website and the Explanatory Notes to accompany the British Southern Whale Fishery Voyage and Crew List databases. The authors plan to update the database annually. You are encouraged to submit additions and corrections by contacting the authors. Click on any row to display crew details. Read The Data Viewer Interface for detailed instructions.